Why is it that your most talented sales people do not always produce the greatest results and some of your least experienced sellers over-achieve? Traditional metrics on sales productivity only tell part of the story. Understanding the full picture requires evaluating your onboarding programs, enablement activities, technology, metrics, and the mindset of your selling organization. If you are in sales, chances are you have heard of “sales enablement”. Traditional organizations have focused their efforts on new hire onboarding and product training. Ensuring your sellers are prepared to succeed in a competitive world takes much more, it requires understanding what drives your employees and what they need to be successful. IDC wrote that sales enablement is “Getting the right information into the hands of the right sellers at the right time and place, and in the right format, to move a sales opportunity forward.” For years companies have been focused on fulfilling this definition, but we believe there are still critical areas organizations overlook. The first is ensuring sales enablement starts with a deep understanding of who the buyer is and what they need. In other words, effective sales enablement should be customer experience-centric. Instead of leading with your company value try creating an experience designed around your customers actual goals and objectives. Before your next meeting ask yourself if you are focused on what is best for your customer or what is best for you. The second is understanding that what separates those who accomplish great things from those who fail to realize their goals is not experience, intelligence, drive, or even creativity. 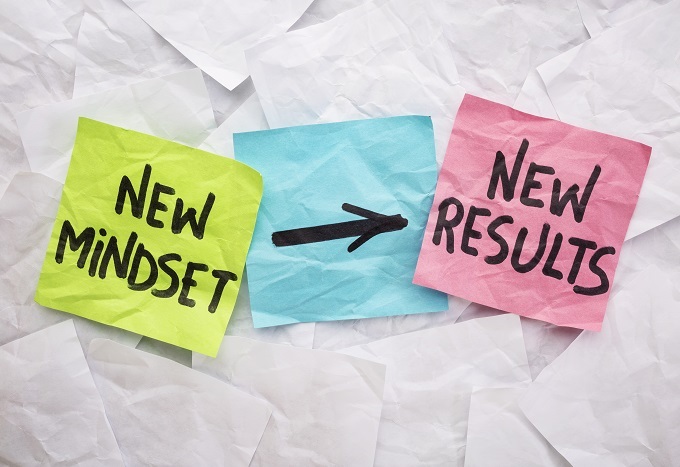 Research tell us the best indicator of success is your personal mindset. According to bestselling author and business strategist Christopher Salem “You are limitless, so play big”. The idea for most companies is fixing the technology will solve your challenges. That is just not a reality in today’s world; you need to focus on your processes, technology, and mindset. Partnering with Chris on our strategic services has allowed us to expand our capabilities in helping organizations focus on the right areas “Sustainable success in sales is a process and always starts with learning to master the art of mindfulness. Being present and consistent with daily habits and disciplines helps to de-clutter our mindset. A clear mindset leads to clarity which in turn we become more decisive and can follow through with massive action. Being mindful or present in the moment creates the ability to be laser focused on one task at a time to master the art of selling” – Chris Salem. Finally, organizations that are able to track their team’s performance in measureable and transparent milestones are more likely to reach their goals. Setting targets that allow an employee and their manager to track their progress ensures everyone is focused on those things that drive value and growth. If you’re responsible for driving success, I challenge you to take a look at your company and see if you are focusing on what’s best for your employees and customers. Leave your feedback so we can start a conversation aimed at helping us all grow. About the author: Chris Thompson is the Managing Director of Archima. Archima is a strategic consulting practice, that believes in creating unique customer and employee solutions. “We believe in partnership and professional growth, so we bring a mindset of value and trust to every interaction”. To learn more about how we help our customers reach their sales goals, contact one of the experts at Archima. Have you ever asked yourself: what’s the plan for my life? Is my work fulfilling and serving a higher purpose? Thinking of becoming a Salesforce Consultant?